It was from one of the posts on Facebook that I got to know about this Assam Laksa in a coffee shop at Toa Payoh Lorong 1. 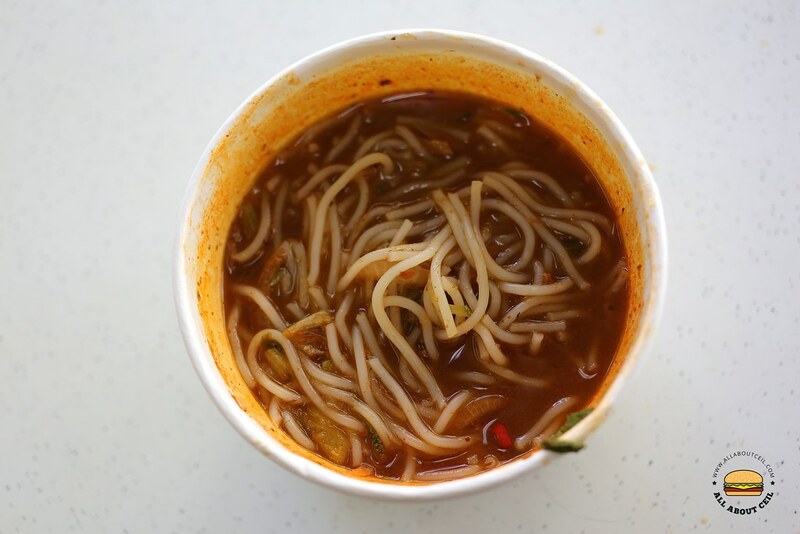 My current favorite is Penang Signature Assam Laksa at Bukit Timah Food Centre and they have been for more than a year. That stall was featured in my article on Makansutra when I wrote about best eats around Beauty World MRT after tasting it for the first time and I still go back regularly whenever I crave for Assam Laksa. 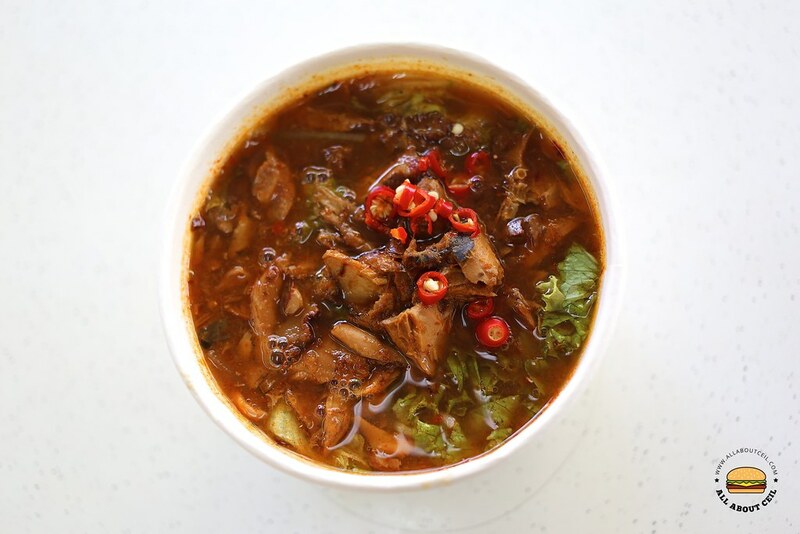 When visiting this stall at Toa Payoh for the first time, there was no one at the stall at 2.15 pm with a "Lunch Hour" signage placed at the counter. I made a comment on their Facebook and was told that it is best to come before 2 pm. I was there the second time and it happened to be after 2 pm as well but this time, there was someone at the stall and that I was the only customer at that time. 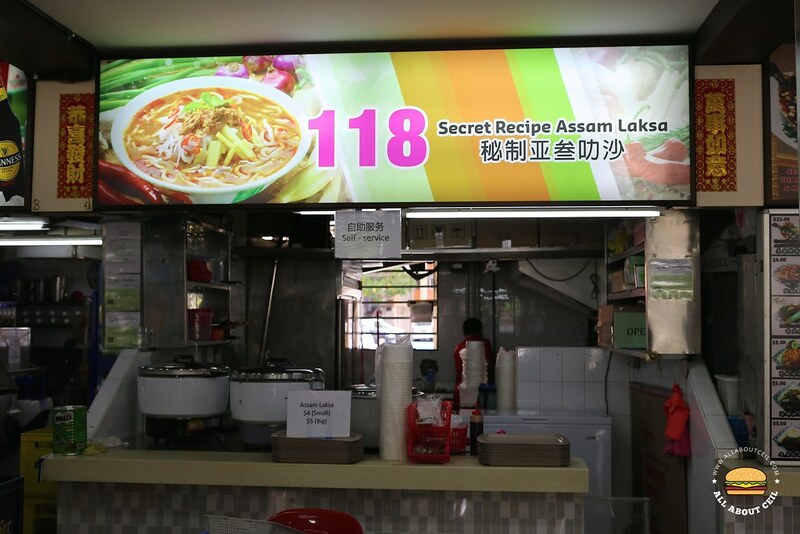 There is only Assam Laksa on their menu, the smaller portion is at $4 and the larger portion is at $5. I went with the $5 portion. As it is self-service, I stood right there and waiting it to be ready. It was done in a few minutes, serving in those paper bowls with disposable chopsticks and spoon. I helped myself with the red cut chilies and prawn paste, both were placed at the counter. 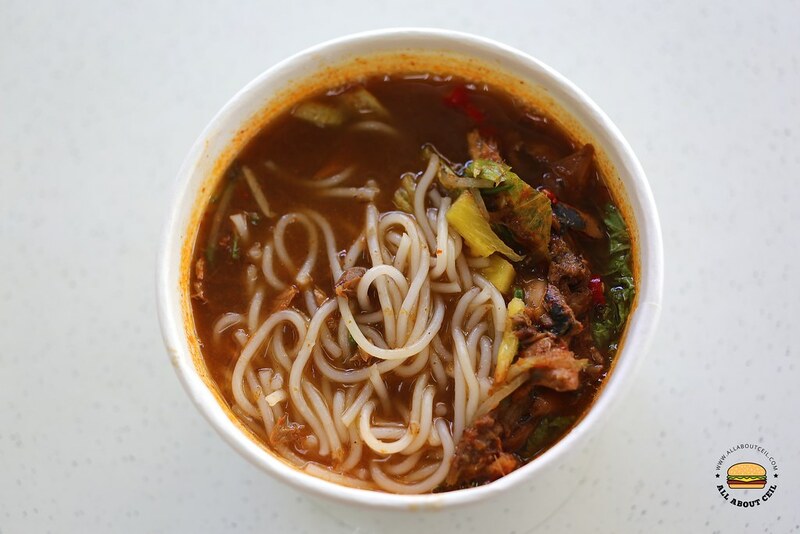 They choose to use the normal thick bee hoon rather than those thick curly rice noodles that are commonly used in the Assam Laksa served in Penang and so there is a discount on their authenticity, it was served with fish chunks, thin slices of pineapple with mint leaves and lettuce. Though it is prepared using their secret recipe as indicated on their signboard, the laksa gravy was admittedly a little too light and watery with a more sourish taste and not as spicy as expected to be. There is also noticeably less fish for $5, which is more expensive as compared to my favorite stall that I mentioned earlier, which is at $3.50 each bowl. I left it unfinished as I really did not like it.